Flamingo Explosion from Woodlawn Baptist Church on Vimeo. Each night, beginning March 15 through March 23, the flamingo flocks will be placed in bunches in the front yards of the “flamingoes.” In addition to the birds, a sign will be placed in the yard informing the homeowner that he/she has been “flamingoed” with instructions on having the birds removed. Each homeowner will have the opportunity to make a donation to the Woodlawn youth ministry in order to have the birds removed the following evening. $25 to send the birds to a specific homeowner. $20 to have the birds removed from your yard. $30 to have the birds removed and have control over where they go next. $45 to have the birds placed in the yard of someone who has already been flamingoed. In addition, if we have placed flamingos in the yard of someone who does not want them, we will promptly remove them upon request at no charge. It's a great way to have fun and at the same time let others know about Woodlawn! In addition to other Woodlawn regulars, flamingo your neighbors, co-workers and friends (who have a sense of humor)! 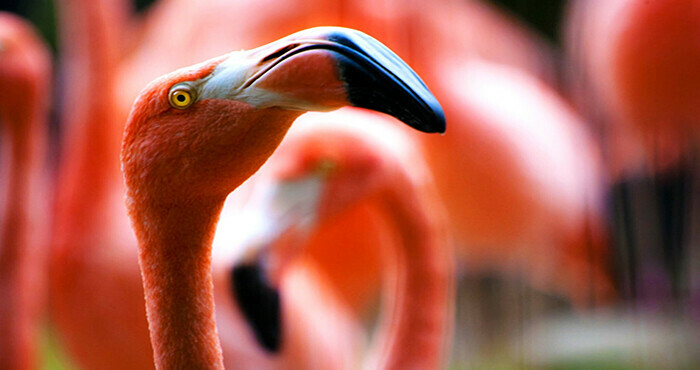 It's easy to place your order for flamingos or get flaming insurance online! For those who prefer a hard copy form, download the Flamingo Flyer and share with everyone you know! Students earn money for summer events with flamingos! Parents & students meet at 5:30 pm each day of spring break beginning Friday, March 15 through Saturday, March 23. The group of parents and students form teams of four (typically one adult driver and three students) to go pick up flamingos and take them to their next location. Each day, the teams are finished by 7:30 pm. Anyone (not just the Woodlawn family, but anyone-friends, family, co-workers, neighbors) can pay to have a flock of ten flamingos sent to someone's yard with a nice yard sign. The recipients can pay to have them removed or sent to someone else. It's incredibly fun as people in the greater Austin area enjoy flamingos to each other! So how do you make money? How do I participate? or email to work as many shifts as possible! Parents/adults earn twice as much as teens for every shift they work! There are a limited number of spots for each day, so email as soon as possible to get your choice of days before the shifts fill up! If you are willing to drive, as standard procedure with all who drive our teenagers, we will need to run a report on your driving record. Please email a copy of your driver's license or drop a copy by the church office. Once the report is run, the copy will be shredded. The key is parents/adults and teens both working as many shifts as possible and getting the flyers into the hands of as many people as you can as soon as possible!